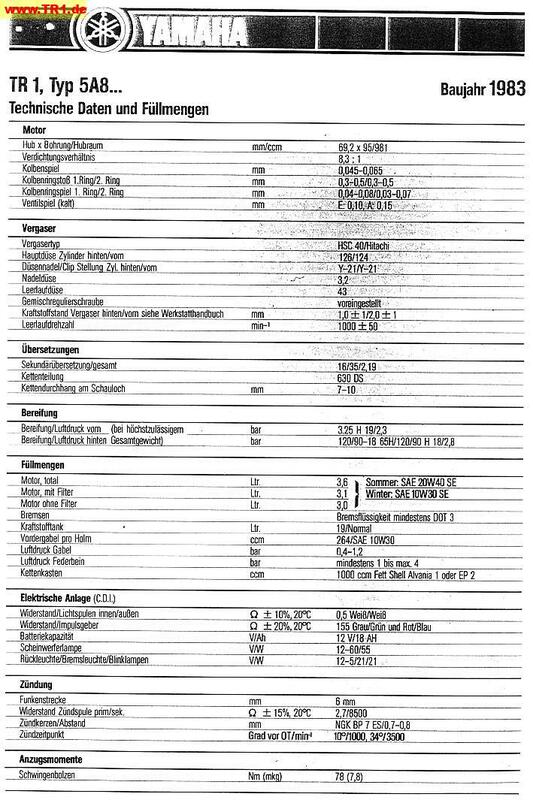 Alfred (Ali) Schneider posted the following two pages of the Yamaha V-Twin development story in the forum. Below you will find the article in a slightly higher resolution. The article is from the YamahaNews from 1981, issue No. 4. You will find all YamahaNews issues (English language only) from 1966 - 2009 here. The introduction of all 1981 models (including the TR1) is in issue No. 3 from 1981. Kevin Emery pointed me to instructions from Robert Lincoln about how to use XS650 wheels for a TR1/XV920. As well many thanks to Reinhard Utzel (old mail from 2007) for a cheap method to fix the starter. 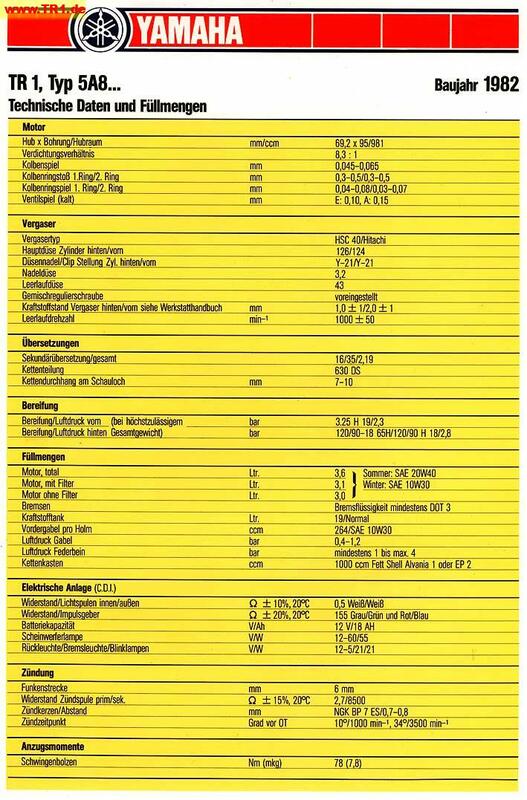 Read this PDF document in German. Here is a link to the official Yamaha Part's Catalog. There you'll find the part's listings for all the XV920* models. You might need to click on the "Proceed to Parts Catalog" button! 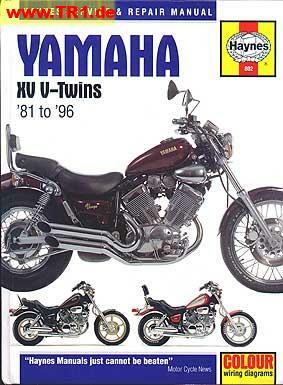 A list of Yamaha XV models with there identification codes and frame numbers is here. This was taken from the Haynes XV V-Twins manual. Thanks to Pekka Hamalainen for the scans. 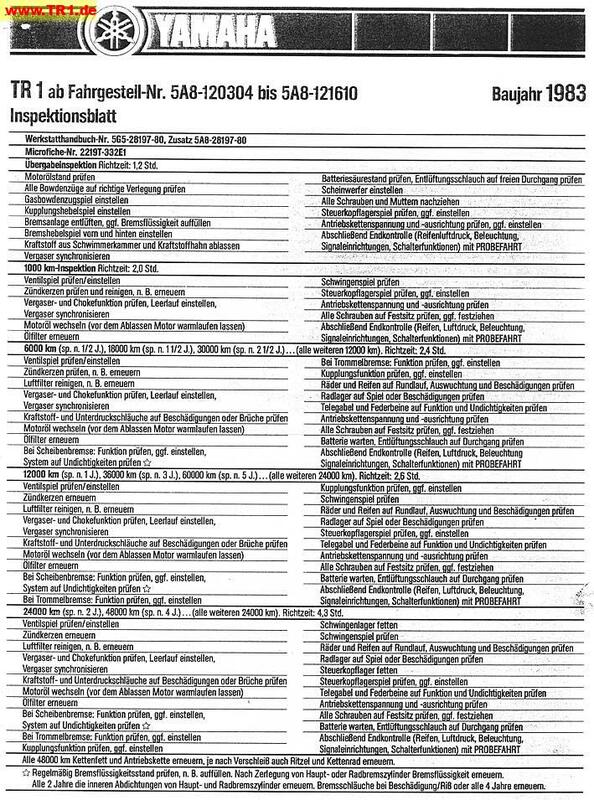 Wilfried Voß sent me two pages with all the TR1 inspection tasks and all the technical data and filling quantities (manufacturing year 1983). 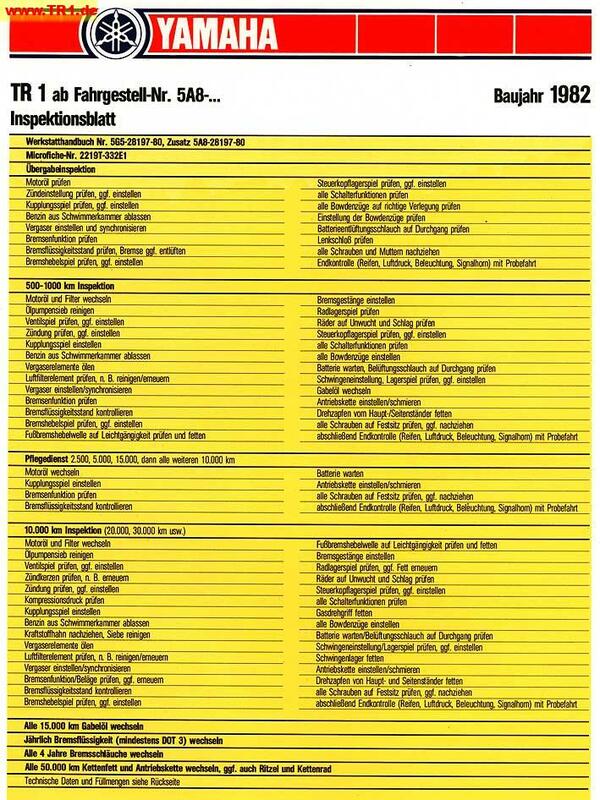 Here are the tasks and the data for the manufacturing year 1982. Reverse back to 70 H.P. Here are the links to the Technik Info (German) and Technical Info (English). Many thanks to Klaus Lauth for the translation. Please note, that the pages are not converted yet to the new layout and therefore open in a new tab or window! A description which helps with many starter problems from Eppo Karsijns can be found here. Thanks to Lutz Kieslich for an alternative and cheap method for carburetor synchronization here in English and here in German.